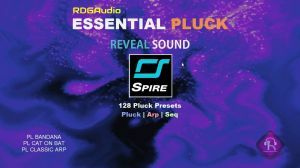 Essential Pluck (Individual Presets) for Reveal Sound Spire features 128 presets inspired by both modern and vintage synth Pluck sounds. Mixed with the soft tones of vintage synth Plucks, Arp and Sequence. It gives you the cutting edge pluck sound perfect for modern EDM. 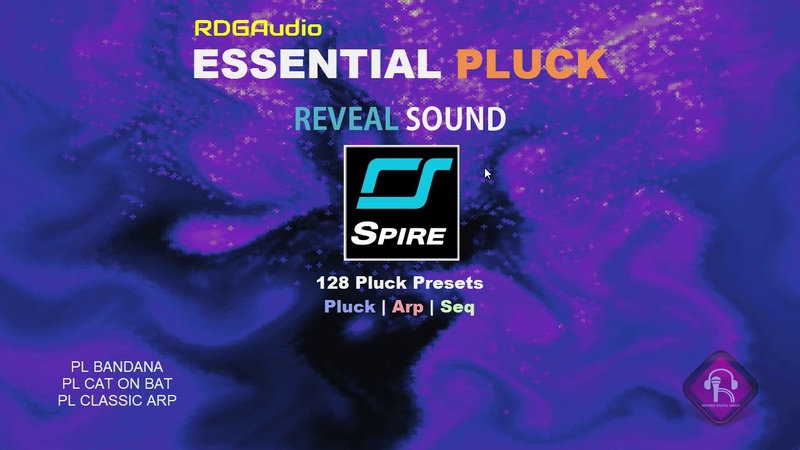 Presets are carefully made for Trance, House, Pop, Euro, Progressive Trance genre.All presets are tagged for use in Reveal Sound Spire and feature Modwheel assignments where possible and velocity where sensible. Carefully made for Trance, House, Techno, Progressive Trance etc genre. 128 ready made Pluck sounds. Reveal Sound Spire Version 1.0.17 or up required.